At least, for Hiroshi Tanahashi. Tanahashi, who just last weekend won the G1 Climax, is now in line to challenge for his unprecedented eighth IWGP Heavyweight Championship. No other wrestler has had more than six, and no one has defended the legendary title more times than he has. Simply put… for over a decade, he was been steadily spectacular. His victory ended up being a bit of a surprise to some observers, but at the end of the day, was just another feather in the cap for the man known as ‘The Ace’ of New Japan. After being out of the title scene for a while, he will now be headlining the nation’s biggest show of 2019, Wrestle Kingdom in January. 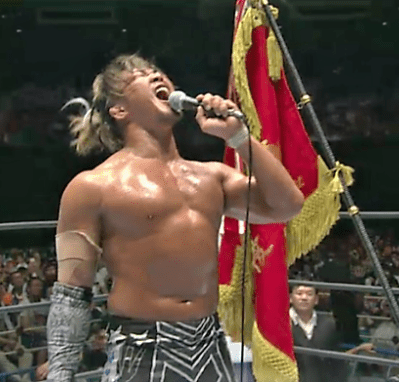 Despite the influx of new talent over the past decade, as well as the emergence of both Kenny Omega and Kazuchika Okada, Tanahashi remains a stalwart of NJPW and one of its biggest drawing attractions. He earned his nickname for good reason. Tanahashi is one of the cards in the deck that the company has always been able play when needed. And win or lose, his presence in the championship match at Wrestle Kingdom (likely against Omega) virtually guarantees it will be a winning hand. Back on this side of the Pacific, things don’t always work out that way. A week after Tanahashi’s Climax victory, WWE fans watched as a brawling bounty hunter likely threw his final blows for the company. At least, until the next payday. At SummerSlam, Brock Lesnar finally folded his hand, conveniently dropping the WWE Universal title, so he can go cash in with the UFC. The Beast Incarnate has run roughshod over the wrestling world since returning in 2012, holding it hostage and eventually only making random appearances… for a reported $150,000 per match. Now, he’s had enough, and he’s abandoning the business once more for a ‘real sport’. The events of Sunday night helped clear the way for that. In some ways, their intertwining stories are a tale about the dichotomy of man, and certainly two very different perspectives on loyalty: While Tanahashi and NJPW set a standard of courtesy and tradition, Lesnar, and those of his ilk, try to kick that down. They’re only faithful to the almighty dollar, and in the end, the product suffers because of that level of greed. Oddly enough, we should have seen this coming, Because it’s played out with these two guys before. About 12 years ago, in fact. When Lesnar got fed up with WWE and quit the first time, he couldn’t wrestle in North America due to legal battles with the company. Instead, the industry’s hottest free agent chose to sign with NJPW in late 2005, where he won the IWGP Championship from Shinsuke Nakamura in his debut match. New Japan practically rolled out the red carpet for the young, American standout, and made him the focal point of the organization’s heavyweight division. With his array of mat skills and physical presence, Lesnar quickly became a star in the Land of the Rising Sun. It didn’t last long, however. By July 2006, company officials announced Lesnar would not return to defend the IWGP Heavyweight Championship due to what was called at the time, “visa issues”. Then, they immediately stripped him of the title. The truth was actually more complicated than that. And, also somewhat predictable, in hindsight. As bounty hunters often do, Lesnar began looking for the next buck. And when his booking and financial considerations couldn’t be met, he bolted on the company. Lesnar then went one step further, continuing to defend the physical belt in another company. . In terms of Japanese wrestling, this was a pretty serious infraction. The nation’s culture, in general, is very different, and even more specifically when it come to pro wrestling. Loyalty has always been stressed – in sports and society. The initial confusion over his departure seriously hurt the IWGP title’s credibility at the time, and Lesnar was more than happy to use that situation to his advantage. So, in essence, the Beast spat all over that tradition. 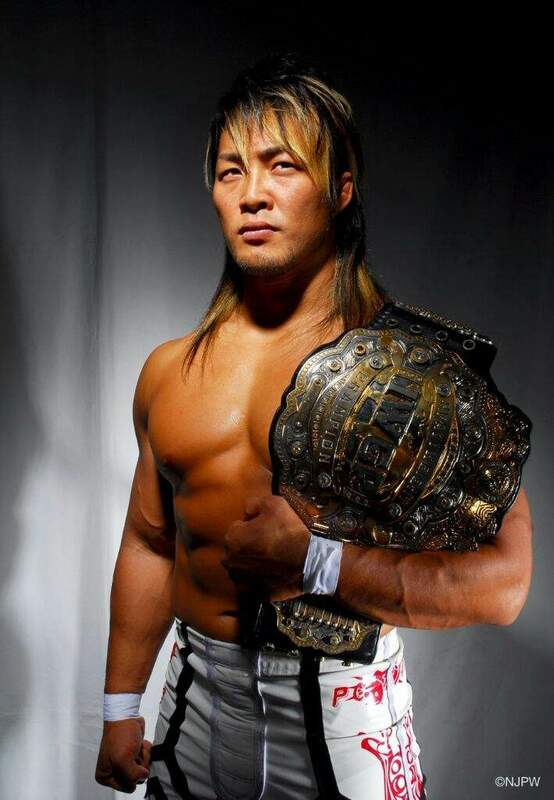 With the title vacant in the summer of ’06, and their overall status damaged, New Japan rolled the dice on an up-and-coming star named Hiroshi Tanahashi. And the rest, as they say, is history. Over time, Tanahashi grew to become one of the most beloved stars in NJPW, a global grappling icon, and a champion the company could build around. As it turned out, his combination of work ethic, good looks and flashy persona made him the perfect performer to lead New Japan out of the dark, and into a new era. 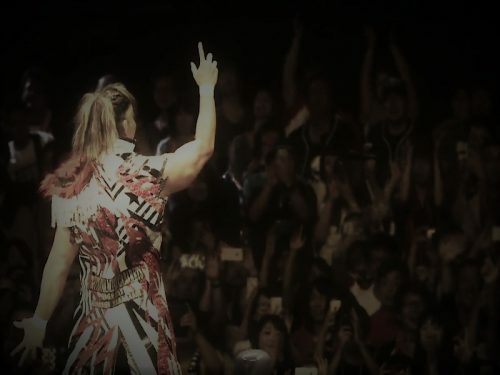 In many ways, fans can thank Tanahashi for the current revolution in Japanese wrestling. Because he helped usher it to this point. So, it’s only fitting that now, a dozen years after Lesnar dropped the ball and Tanahashi picked it up, that New Japan is the most groundbreaking company in the world. Meanwhile, Brock is in the same, old spot: Ready to bail on a company who faithfully paid him well, only to seek a better fortune elsewhere. At least this time, he actually lost his title belt on his way out the door. Regardless of whether Tanahashi wins another IWGP championship in January, his place in pro wrestling lore is etched in stone. He established himself as a truly respected, franchise player when his team needed him. And he continues to be one of its strongest contributor. In some ways, he’s already passed the torch to Omega and Okada, and many experts believe his placement into the title match at Wrestle Kingdom might just be the next step in that process. 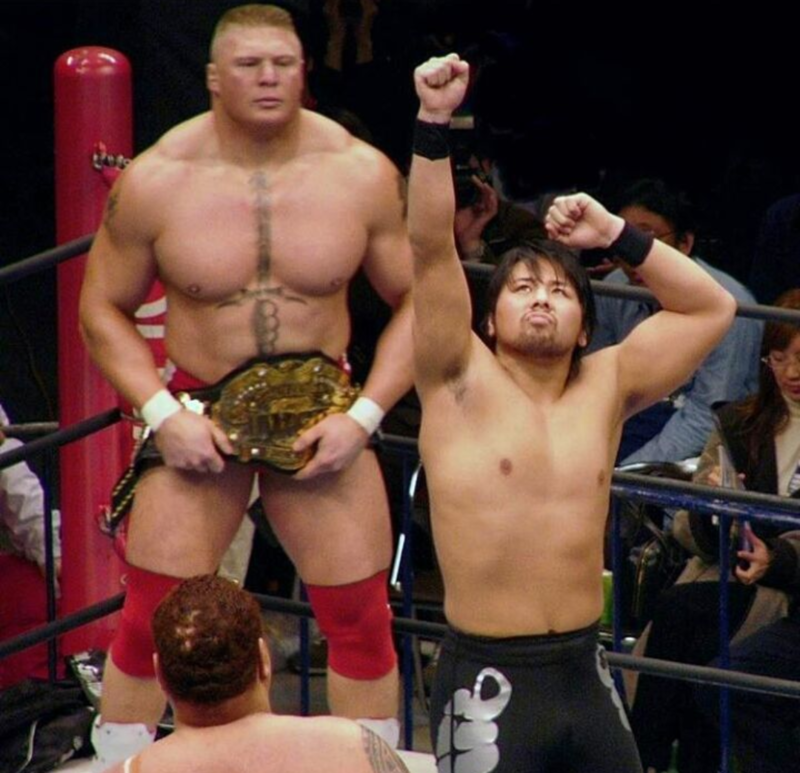 Back in 2006, the world already knew that Brock Lesnar was a blue chipper and a bona fide star, while Hiroshi Tanahashi was merely establishing himself at the main event level. 12 years later, there’s almost no debate on who is respected more. Lesnar is typically reviled by fans for being unmotivated and uninterested, while Tanahashi’s focus on the product has never wavered. And the events of the past eight days have only illuminated that. That’s why, this week… One guy looks like an Ace. 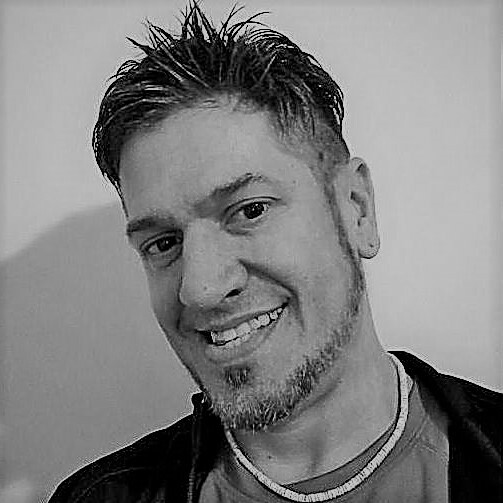 While the other, just looks like a Joker.